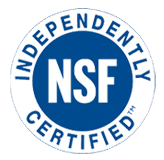 Water naturally contains dissolved gases, even after purification steps such as reverse osmosis and ultrafiltration. When water used for analytical or high purity processes contains dissolved oxygen of carbon dioxide, a number of problems can occur. 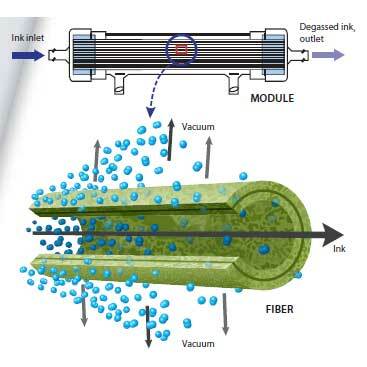 These dissolved gases can be removed from water in a number of ways, striping, injecting nitrogen and hydrophobic hollow fiber membrane system. The benefits can be remarkable: reproducible results that meet experimental or regulatory requirements, lower downstream process intensity and longer component life; improved yields of materials in contact with degassed water; reduced issues with corrosion, undesired pH levels and unwanted by products. Dissolved Oxygen: Membrane degassing of water to remove oxygen avoids exposing oxygen-sensitive compounds to its effects, and reduces oxidation problems. Oxygen in the presence of other dissolved compounds, such as ammonia, can lead to other types of corrosion that affect piping and components. 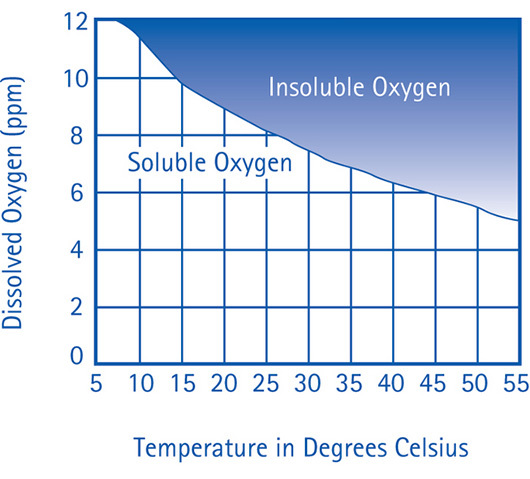 Dissolved oxygen and other gases can form bubbles, which may negatively affect processes and analytical measurements. Carbon Dioxide: In certain applications, such as ultrapure process water, removing carbon dioxide is desirable to improve efficiency of other purification steps. A hollow fiber membrane degasser or contactor can efficiently remove the carbon dioxide and extend the life of components. Carbon dioxide in steam can form carbonic acid and carbonate in water, causing accelerated corrosion and affecting readings for pH and conductivity. Removing carbon dioxide can positively affect the process results in applications from ultrapure water in semiconductor manufacturing to productivity in aquaculture. 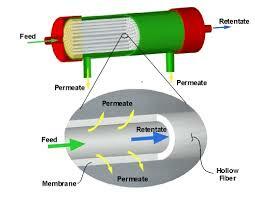 Dense Membranes: A dense membrane is solid material, without pores or voids. Examples include polymers (such as silicone), metals (such as palladium), and ceramics. Dense membranes allow substances to pass through them by a process of solution and diffusion, in which the substance dissolves into the membrane and passes through it to the other side. 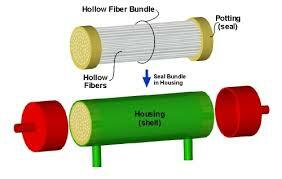 Porous Membranes: A porous membrane has pores, or holes, of a particular size or range of sizes. These membranes separate on the basis of size exclusion: substances larger than the pores do not pass through, while those smaller than the pores do. Asymmetric Membranes: An asymmetric membrane is comprised of a single material, often porous, that has differing characteristics (such as pore size) from one side to the other. This feature allows “tighter” selectivity to occur at the surface and less restriction as a material passes through the membrane matrix. Composite Membranes: Composite membranes are made up of more than one material, often a thin selective layer of a dense material applied to a porous support layer. 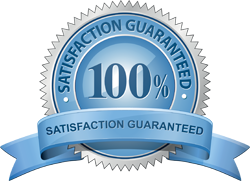 Generally, the goal is to make the selective layer as thin as possible and the support layer as porous as possible to improve the transfer of the permeating substance. Selectivity and Transfer in Dense Membranes as a representative dense polymeric membrane, silicone (polydimethyl siloxane, or PDMS), is among the most gas permeable materials available. Gases permeate silicone by a solution/diffusion mechanism, whereby the rate of gas permeation is directly proportional to the product of solubility of the gas, and the rate of diffusion of the dissolved gas in silicone. The permeability coefficient is a parameter defined as the transport flux of a gas (rate of gas permeation per unit area), per unit transmembrane driving force, per unit membrane thickness. Because silicone is dense (and not porous) liquids cannot grossly transfer through the membrane, enabling its use in liquid contacting applications with all compatible liquids regardless of surface tension. Moreover, the dense membrane also provides a means for separating gases due to the permeability difference between gases in silicone. Gas Separation: Although the permeability ratio for two gases in a binary gas mixture provides a gross estimate for the ratio of permeate flow for the two gases, actual measurements show that the interaction of a gas mixture on the membrane can affect permeation rates. Moreover feed and permeate pressures can also affect permeation rates as the membrane structure can change under pressure. The separation factor is a Gases permeate through a dense membrane at differing rates separation. 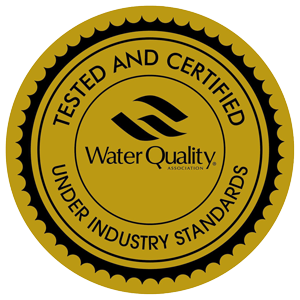 Delivering process water with very low levels of dissolved gases leads to longer equipment life, reduced maintenance, and improved performance. Certain membranes, such as silicone, can even be used in contact with low surface tension liquids. Adding gases to liquids can be desirable as well. Applications such as carbonating liquid (adding carbon dioxide) or oxygenating blood during surgery can be performed with certain membranes. In life sciences, conditioning the liquid media in cell culture can be done in a closed loop using membranes. This can avoid subjecting sensitive cells to higher shear stress from impellers or bubble rupture, and reduce foaming. consumption of chemicals reduces operating costs. In addition, increasingly stringent regulatory requirements make recovery of VOC’s more and more important. Dense membranes can be used in the separation and recovery of VOC’s due to the unique characteristics of the material. Certain VOC’s permeate the membrane very well, and can be effectively removed from the feed stream.